The Set of 3 OASE Lunaqua Classic LED Spotlights can be used to gently illuminate above ground and underwater in ponds and garden features. 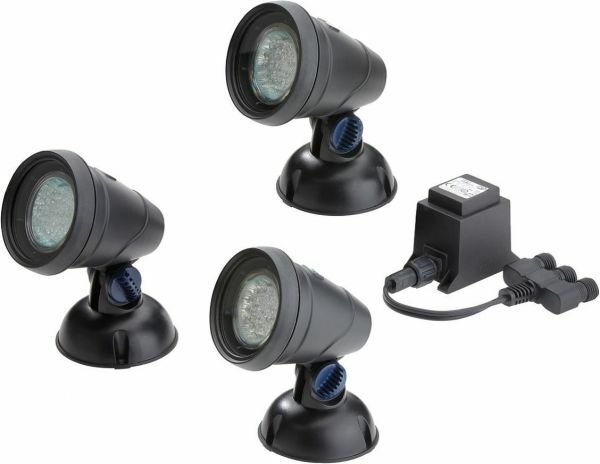 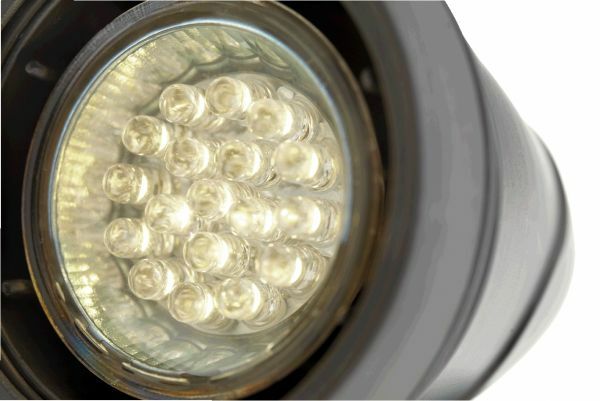 The warm white Classic LED triple light set is supplied with 5m of low voltage cable per spotlight, a 3 way low voltage splitter connecting directly to the fully weatherproof transformer, which is supplied with additional 2m of 230V mains cable. 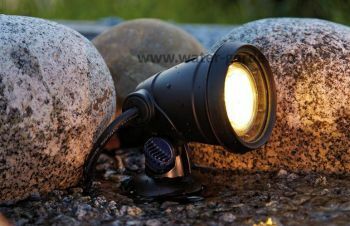 Energy efficient 1 watt LED per spotlight. Light output of around 31 lumens per spot light. 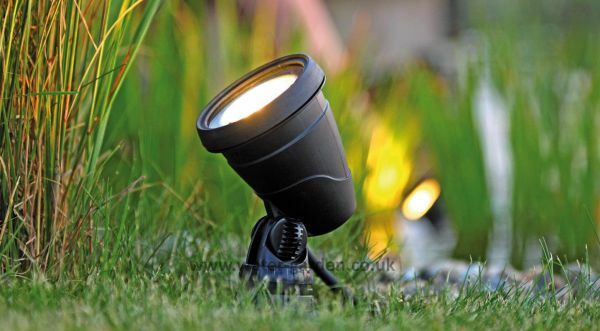 Spotlight Dimensions: 12cm Height x 7.5cm Diameter. Very good quality. 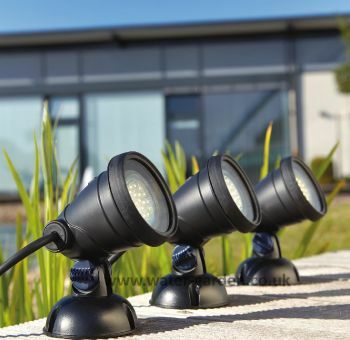 Good light intensity and spread. 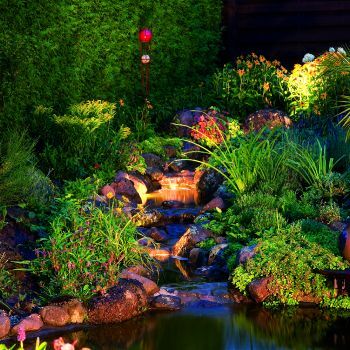 Perfect for gently highlighting the waterfall and aquatic planting.